How and When Is Credit Card Interest Charged? Most people aim to keep their credit card cost at $0. Getting a credit card with no annual fee is a start, but if you carry a balance, you could still incur a cost in the form of interest. Knowing how and when credit card interest is charged is the best way to avoid paying interest and keep your credit card free. Your credit card issuer will charge interest whenever you carry a balance beyond the grace period. Credit card interest isn't a one-time thing either. Each month you don’t pay your balance in full, you’ll have a finance charge added to your balance. 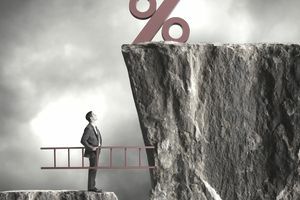 The way to carry a balance and avoid paying interest is to take advantage of a 0% interest rate promotion. You'll be charged interest whenever you don't pay the full balance from the previous billing cycle. For example, if your credit card statement balance is $1,000, you'll have to pay the full $1,000 to avoid being charged interest. Otherwise, your next credit card statement will include an interest charge for the unpaid amount. Not all transactions have a grace period during which you can pay in full and avoid interest. You'll be charged interest any month you make a cash advance or other type of transaction that does not have a grace period or if your credit card doesn't have a grace period at all. If you have two different balances on your credit card, one with a 0% APR and one without, you'll still incur interest on the balance that has the interest rate. It might happen if you transferred a balance to take advantage of a 0% rate and made a purchase with the credit card before paying off the balance transfer. You won’t be charged interest on your purchases if you started the billing cycle with a zero balance or you paid your last statement balance in full. You're also not charged interest on balances with a 0% promotional APR. Your very first billing statement on a new credit card won't have a finance charge unless you made a cash advance or your credit card doesn’t come with a grace period (this is rare). If you pay the full balance before the grace period expires, you won’t pay any interest. It is the case for any month that you begin the billing cycle with a $0 balance, for new and old credit cards and whether your credit card is open or closed. The grace period will start on the date the billing cycle ends and lasts about 21 to 27 days, depending on your credit card terms. The amount of credit card interest you pay each month can fluctuate based on your credit card balance and any changes to your interest rate. Your finance charge, which is how interest is applied to your balance, may be calculated in different ways based on your annual percentage rate and credit card balance. Read the back of your credit card statement for details on how your finance charges are calculated. How Much Will a Credit Card Cost You?